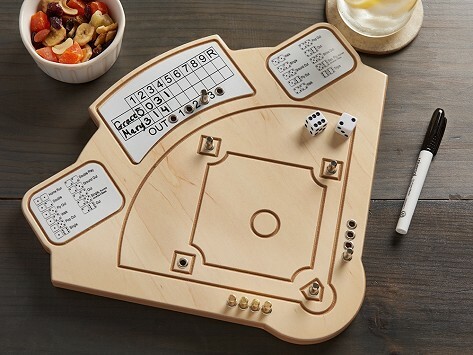 This baseball board game hits it out of the park. Roll the dice and run the pegs around the bases to score a run. The wooden game board is handcrafted in Missouri and is made with the mission to bring families together for a nostalgic (and fun) screen-free game night. Dimensions: 13" x 13" x 0.75"
Grandson reports that this is a GREAT drinking game! Bought this for baseball loving son and his boys. Immediate winner among Christmas gifts, even with new techie toys!